Book your Psychic Intuitive Reading today! Book an intuitive life path/psychic reading today! Evening and Saturday appointments available as well- please enquire. Readings via phone or Skype/Facetime. Angela is also a member with the FindME group.org out of Arizona. An non-profit organization for assisting law enforcement and families with locating missing persons and homicide victims. 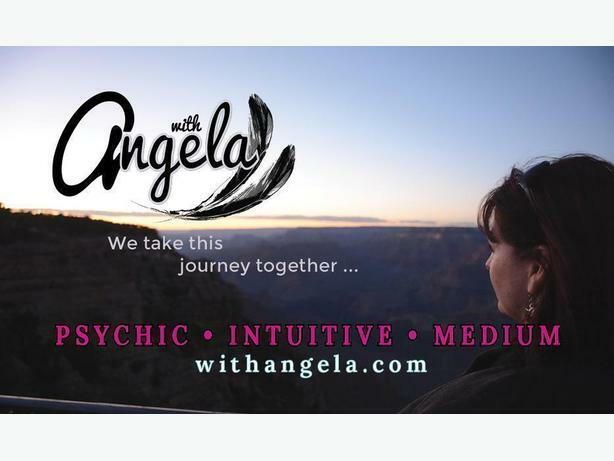 Angela spends time in between Victoria, British Columbia and Phoenix AZ- with her husband and three cats, offering psychic intuitive readings,classes, workshops and more.